For all of you who have spent at least 10 minutes reading my texts, this new peculiar example is not going to be a surprise. To the rest, I can only say – get back and read a couple of other articles to get the picture. Very often I think about Nicole Scherzinger. No, not in that way and not during the night. This lady is very close to perfection. She is beautiful, to the surprise of many – a fantastic singer, she is a top class dancer, she can act, she is entertaining. I never met her but she seems like a nice person. Although, believe it or not, media can create a wrong impression about someone or something. I know that. I worked in media. She is hard working, participating in many projects, improving her skills all the time, challenging herself… But still – she is a B list celebrity. Why? Why is life so unfair? On top of everything she is not happy in her love life either. She dated Luis Hamilton for years. And then they broke up. She can’t find her soulmate ever since. And she is almost 40. In show-business it’s very hard to define why someone is an A list celebrity, and why some people even when they have all the necessary qualities remain for decades on the B list. It’s a bit easier to explain this phenomenon in the business world, but nevertheless I have been asked very frequently by my team members: Why am I not promoted when I’ve ticked every box officially needed for a promotion? I will try to give a couple of universal answers to this question. Of course, being universal they are not the correct answers for every situation and every person. The first important thing is TIMING. I always say that. Similar to a good movie script, where everything is about timing, in career you simply have to wait for your perfect timing. How to recognize when the timing is perfect? From my experience, things should start moving in the right direction and some doors should start opening for you, but you also have to feel good during that process and while passing through those doors. That’s why it’s called perfect. CAUTION: Perfect timing might never come! On a positive side: It’s not the end of the world. The second thing that is very important, when we are talking about a vertical progress in career, equalizing success with progress in a company hierarchy – is being a bit AGGRESSIVE. Waiting for things to happen just because you are doing a good job is not going to work. Unfortunately, very often, this brings to the front line many rude, too aggressive, arrogant people who justify their behavior as “being result driven” or “wishing the best for the company”. This is strongly connected with company culture and what is promoted and supported as desired behavior. Of course, there is no company that will say that they support being aggressive and rude, but in practice they will promote people behaving like that. The third thing is becoming a PROTEGE of a senior colleague. I know this might sound really bad. In some cultures, this is associated with very dishonest behavior and negative attitude toward both – mentor and protégé. But I’m talking about finding someone who is going to be able to get to know you well enough and to be able to judge your quality not only based on your KPI’s but also based on how you achieve your results and who you are as a person. Then you have someone who can give you a reality check, but also who can be your best spokesman when it comes to career progress discussions. Even if all this goes well, what might happen to you is something that I had never thought about – until recently. That maybe, vertical success is actually not your thing. I recently met, during a Creative Mentorship program, one amazing lady, Pamela von Sabljar and she told us (I’m paraphrasing): from being an achiever, I have transformed into someone who finds happiness and purpose in learning. I’m not there yet. Still fighting with the achiever in me. Maybe he will win in the end. But it’s comforting to know that even if he doesn’t, there is a very good alternative. I’m still inspired by Pamela’s example and story. 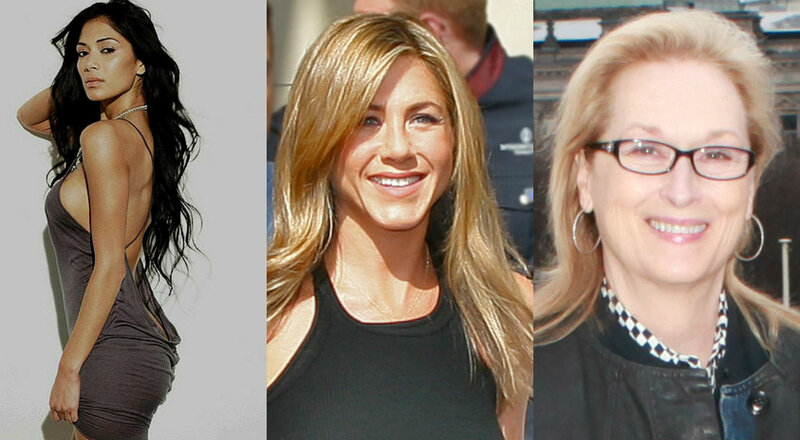 So while you are wondering why Jennifer Aniston can’t find real love and she is such a sweetheart, why Robert Downey Jr. never won an Oscar and he is an acting genius, also remember that Meryl Streep was rejected on her first audition because she is not beautiful enough. So, she started working hard on what she is good at. And she beat the system. It was her alternative. Cheers to Nicole and the alternatives! They are amazing and important.